These are the perfect live bands for corporate events, weddings & parties in the Nottinghamshire area .... in fact any event where you want to dance all night to rock and pop hits from across the decades! 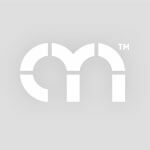 Find the best local function bands in Nottinghamshire only at Alive Network, the UK's biggest music agency. The Hypertones are by far one of the most exciting party bands currently performing at events all over the UK… Young, talented and unique in every way, they are everything you need to make your night! Promotional Offers Available! From The Beatles to Daft Punk, Micheal Jackson to Kings Of Leon, Stevie Wonder to Maroon 5 & more, Gentlemen Of Leisure are a professional, highly experienced & down right cool 4 piece live band guaranteed to rock your event! Polished 4-piece band playing popular dancefloor hits that span the decades. Sugarbeat can tailor their set to suit any occasion playing everything from current chart hits to dancefloor classics. Want help finding your perfect Nottinghamshire function band? If you would like assistance finding the perfect live band for your event in Nottinghamshire, simply give us a call or submit the quick enquiry form below and one of our talented entertainment coordinators will be happy to assist. A professional 4 piece band who have entertained hundreds of people all around the UK. Performing a diverse mix of 50's classics to modern chart toppers, Crimson Kings will create an exciting, fun atmosphere wherever they play! Soul Rhythm are a cool, young & talented band with a crowd-pleasing repertoire guaranteed to fill your dance floor! Offering something for everyone, this 5 piece band perform music from Robin Thicke, The Blues Brothers, Daft Punk, Stevie Wonder & more! The B Side are an energetic and dynamic professional party band, with a vast repertoire. From Rock 'n' Roll classics, to the latest floor filling grooves, The B Side guarantee to have your guests up on their feet. 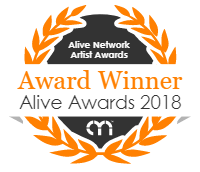 Alive Network are Nottinghamshire's largest live music and function band agents and one of the leading live entertainment agencies in the UK. We specialise in providing Nottinghamshire's best function bands, musicians, DJs and entertainers for events across Nottinghamshire.